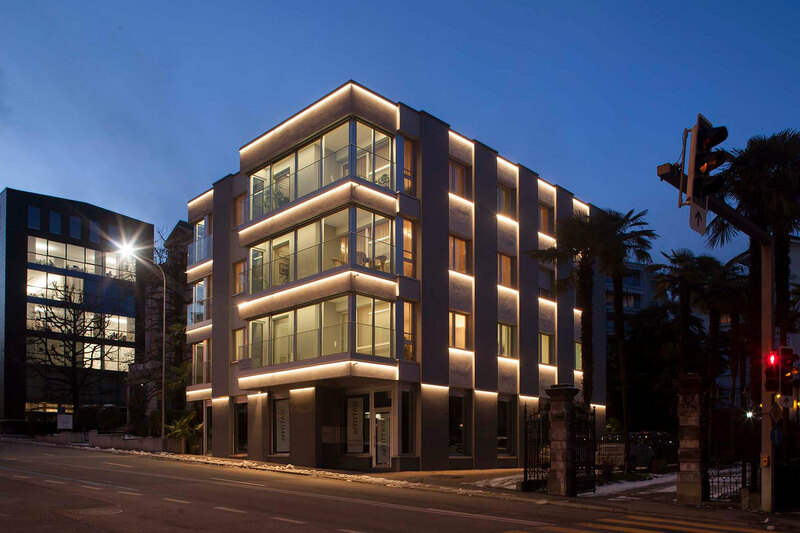 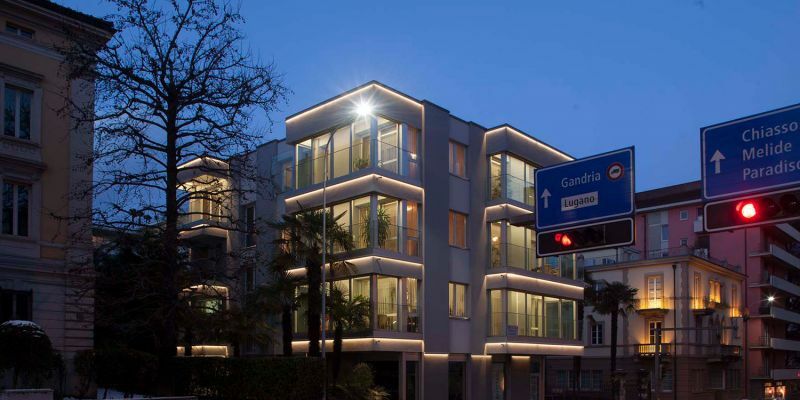 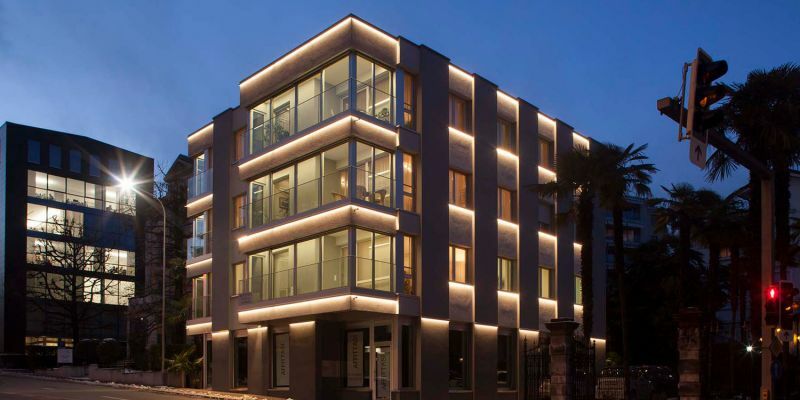 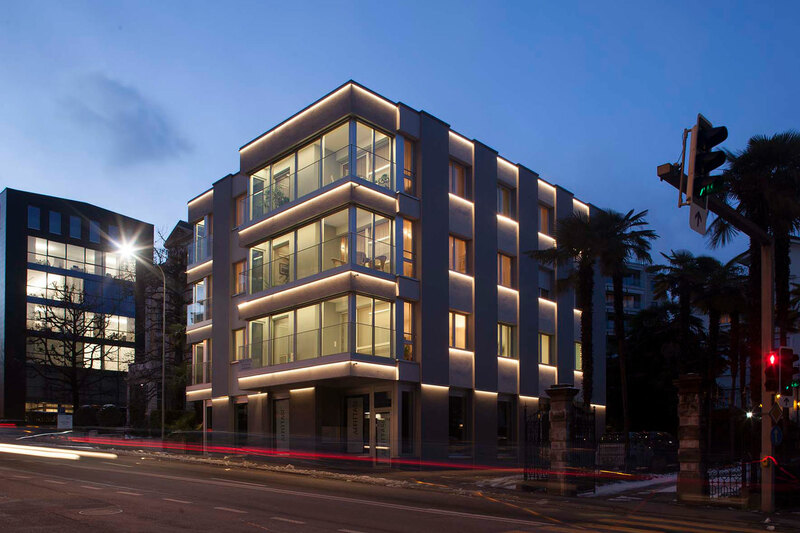 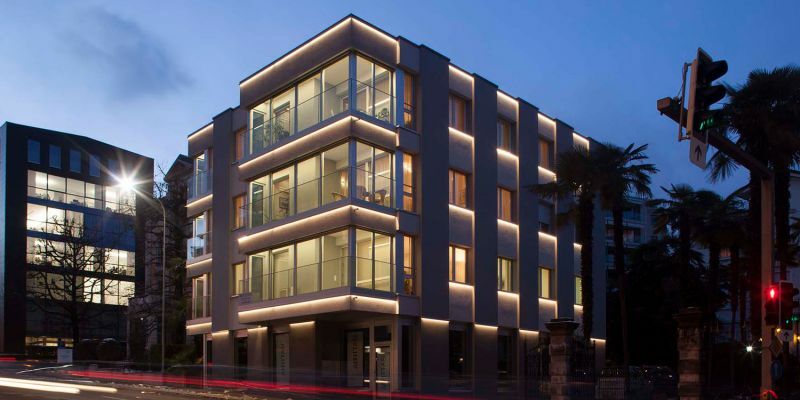 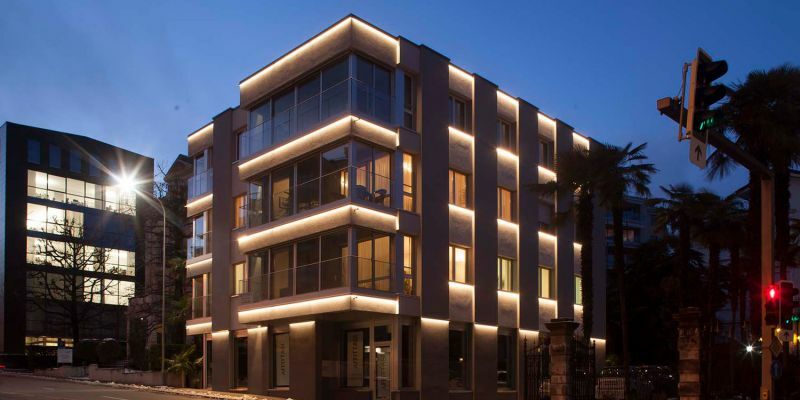 The lighting project focused on the external lighting of a private building in Paradiso and it was part of a larger project for the restoration of the façades of this building, which is located on one of the most central street of this dynamic municipality near Lugano. 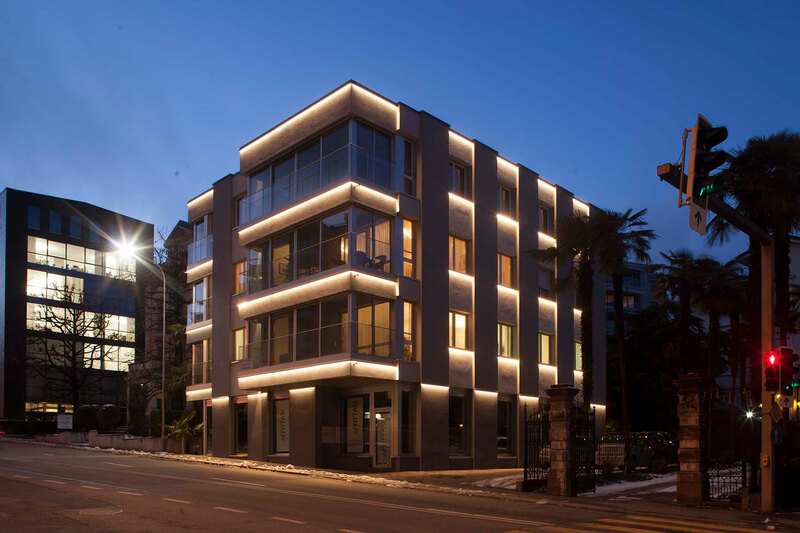 The lighting enhances the building during the night, giving it movement and dynamism, in compliance with the main current regulations in terms of light pollution. 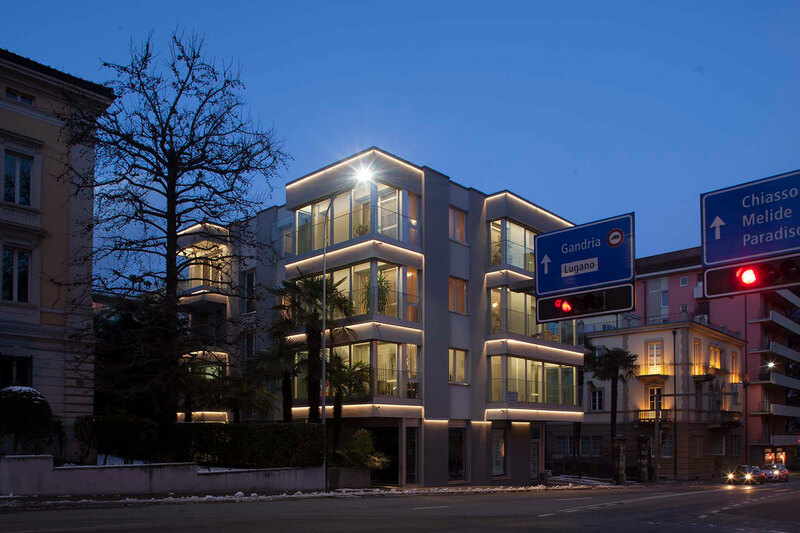 The façades are illuminated by a direct top-down lighting, thanks to dimmable fixtures located in a metallic carter, which hide them from view, acting also as anti-glare for pedestrians and drivers. 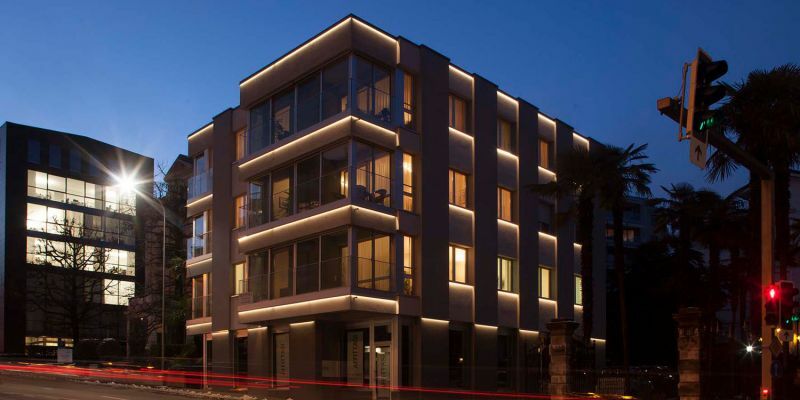 To illuminate the balconies, linear ceiling luminaires have been installed, located in the recess of the ceiling of the above balcony, in order to restrict the light inside the space without spreading uselessly in the surrounding. 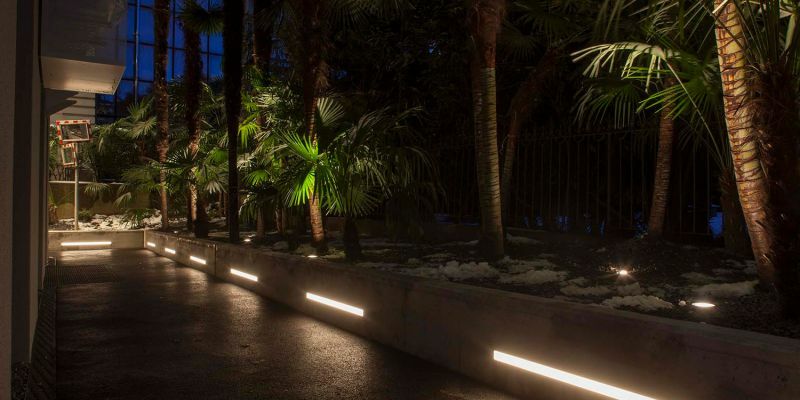 Finally, the palms along the pedestrians access walkways have been enhanced by accent lighting. 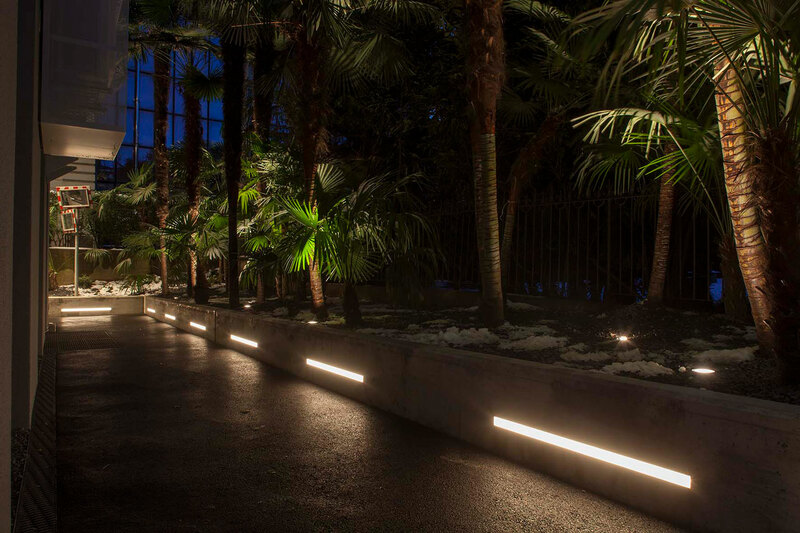 The luminaires are turned on only on festive days until 22:00, in order not to damage the plant life-cycle.